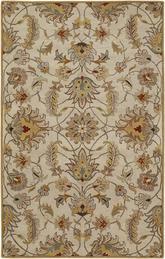 Surya rugs have been around for a long time, and they continue to surprise and delight every customer who uses them in their interior design plans. 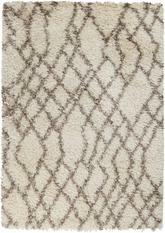 These rugs are beautiful, affordable, and very durable additions to your home that are sure to stand up to a lot of wear and tear no matter where you place them. 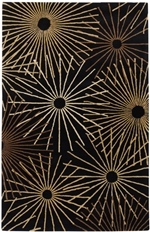 The Surya brand is one of the most popular area rug companies on the market today, so when you purchase a rug from them, you can expect a commitment to high quality products and excellent customer service that will be apparent in any rug you choose. 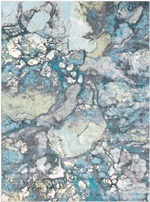 Read on to learn more about what makes Surya such a great option when you go shopping for your next beautiful area rug. 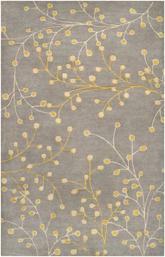 Surya is an incredible area rug company that focuses significantly on the happiness of its customers time and time again. 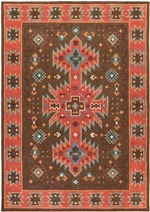 This company offers a huge selection of rugs and rug lines, including the Surya Caesar, Frontier, and Athena line, among many others. 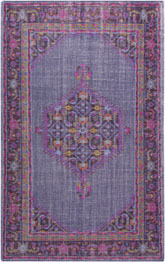 Each rug design is chosen based on how it fits into modern trends as well as how it compares to traditional designs that have remained popular for centuries. 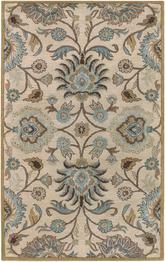 The Surya company has been around for about forty years, and it has been committed to providing both hand made and machine made rug options to customers for a long time. 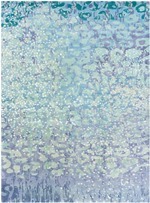 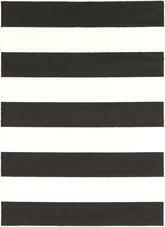 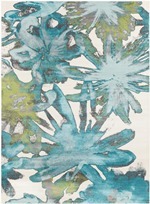 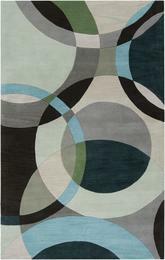 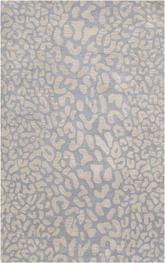 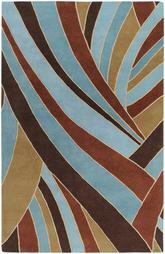 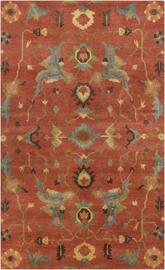 Although the company started out focusing on hand knotted rugs, it has expanded to include power loomed options today. 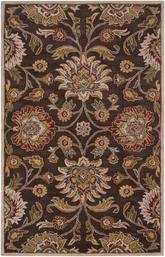 No matter which kind of rug you select from Surya, you can expect a durable, beautiful piece of textile art that will add a lot of life to your home. 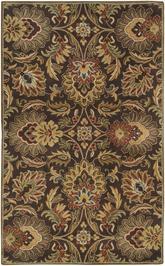 Best of all, this company is so focused on its customers that it will work with you to rectify any issues you may have with your rug and make sure that you remain a happy customer. 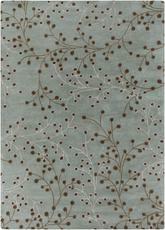 Which Rug Materials does Surya Offer? 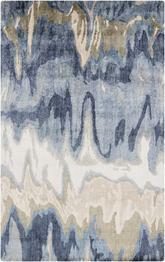 If you’re in the market for a rug company that offers a huge list of different materials to choose from, Surya is the company for you! 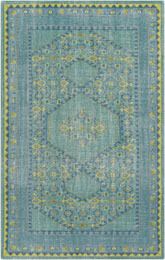 When you’re looking for a rug from Surya, you have plenty of options to pick from, no matter whether you want something manmade or synthetic or you prefer something more eco-friendly and natural. 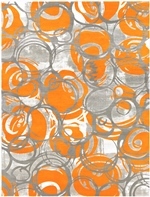 Many of the most popular lines, such as the Surya Cosmopolitan area rug collection, are available in both types of materials or in blends to help you find the perfect combination of durability, stain resistance, comfort and environmentally friendly practices that you’re looking for in all of your home décor. 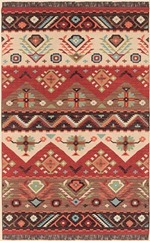 If you want something completely synthetic, choose the Surya Mystique or Harlequin rugs for sale in materials such as polypropylene, polyester, or acrylic. 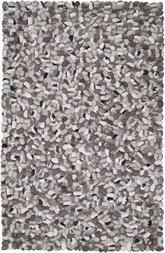 These are completely manmade fibers that can give you a long life from your rug without you having to worry about complicated cleaning or gentle use throughout the time you have your rug. 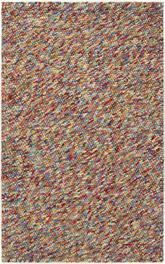 You can also select a synthetic blend that combines the best of synthetic fibers with some of the most comfortable and beautiful natural ones to find the perfect happy medium. 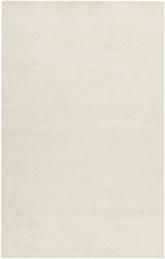 For eco-friendly and all-natural choices, pick wool, viscose, jute, cotton, leather, hemp, olefin, bamboo, silk, chenille, seagrass, or sisal. 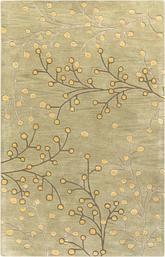 You have a lot to choose from when you want a natural rug from this company! 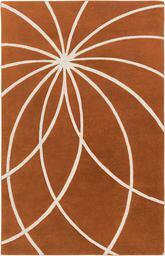 What Size Surya Rug Should You Buy? 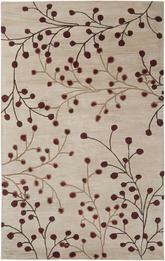 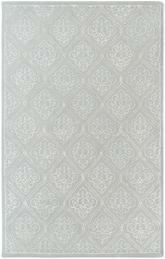 Surya wool area rugs are available in many different sizes to help you find the right match for your room. 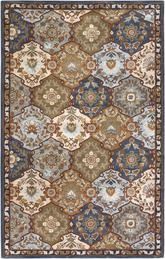 Larger rooms such as traditional parlors, modern and contemporary living rooms, and transitional dining rooms can benefit from the biggest rugs available from this company, such as 10x12 or even 12x14 rectangular options. 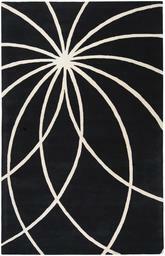 If you want something very modern, you can also choose a round or oval rug in a bigger size, such as 8’ across. 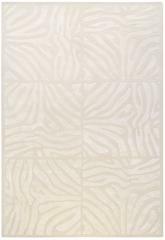 These can be great ways to put together transitional rooms, especially when you stick to more traditional patterns in these more unique shapes. 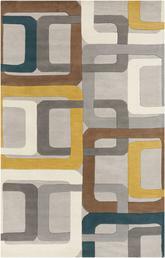 On the other hand, if you want to create a contemporary space, try working with smaller 2x4 accent rugs in hearth or square shapes to add splashes of color to any room. 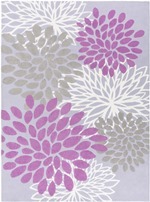 This is an especially nice way to decorate a bedroom, but it can work great in kitchens, dining rooms, and even smaller or more contemporary living rooms as well. 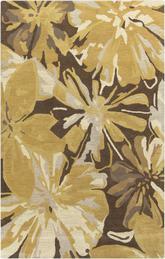 Runner rugs can also be incorporated to great effect. 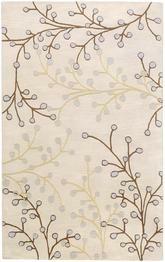 Choose a runner rug to help you separate an open floor plan living and dining room visually. 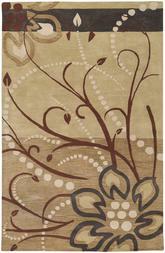 Which Styles Can Surya Help You Create? 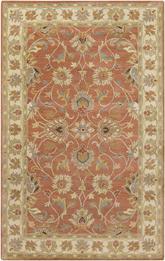 Surya rugs can help you put together rooms in just about any style you might be interested in. 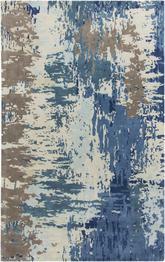 This company particularly offers a lot of excellent transitional rug selections, including the Surya Forum, Etching, Contempo, and Anchorage rug lines. 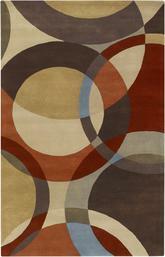 But what makes these rugs so transitional? 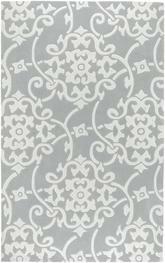 In most cases, this means that they feature large, bold designs in more muted colors that fit into the color schemes of traditional rooms while standing out in a contemporary way in terms of their patterns. 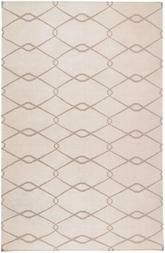 When you choose these rugs in traditional materials like silk, cotton, or wool, you can further improve the transitional feeling. 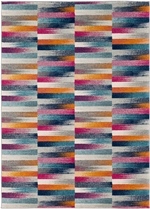 However, both contemporary and traditional rugs are also available from this company, depending on which patterns you choose. 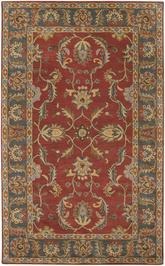 Select an oriental style rug for a very traditional room, or go with a big, vibrant pattern in bold colors and an abstract or floral print if you want something more modern. 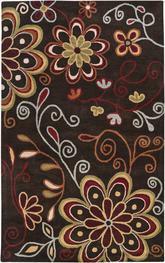 The size of your rug can also help you create a great style throughout your room. 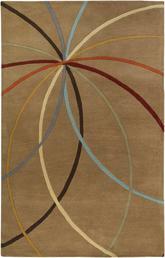 You can’t go wrong with a Surya rug in your home! 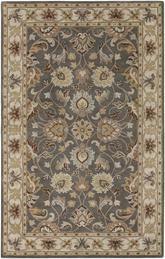 This company incorporates both traditional oriental styles as well as more modern and abstract looks to provide a wide assortment of different rugs for customers to choose from no matter what their style preferences might be. 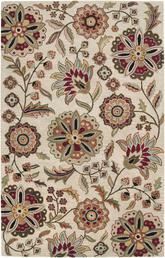 You never have to worry about being limited in terms of your choices when you work with a Surya rug, and if you have different rooms of your home with different themes, you can find something for every space among their great rug choices. 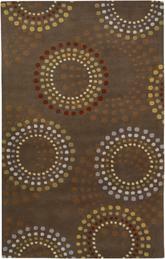 Get ready for the rug of your dreams when you shop with Surya!